Israel needs to go on an emergency campaign to inoculate individuals in southern Israel against polio, the Knesset Health Committee said Monday. Samples of sewage containing the virus have cropped up in six cities in the Negev, with the outbreak suspected of beginning in a Bedouin village. According to experts testifying at the committee, some 10% of the residents of the Negev, have not received polio inoculations. According to the Ministry's managing director Professor Roni Gamzu, the problem is well known to the Ministry, and the government has taken great strides in protecting the population from polio. “We are consulting with international health organizations on the best methods of inoculation, whether oral or injected, but we have been aggressively pursuing an inoculation program all along. Unfortunately, some 10% of the population in the south has still not received an inoculation. Polio has been found in recent months in several places in southern Israel. 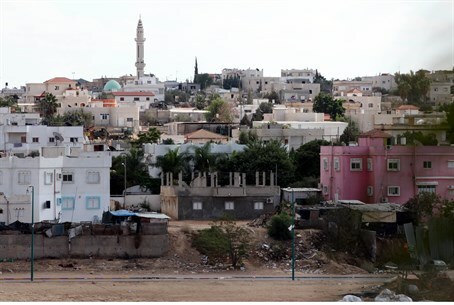 In May, the virus was found in sewage from the Bedouin city of Rahat. Later, samples were found in sewage in Be'er Sheva, Ashdod, and Tel Aviv. Experts said that the outbreak seemed to be centered on Rahat, and it may have spread from there. Gamzu said that there were children in the Jewish and Arab – especially Bedouin – community who were not inoculated. But the problem is much more prevalent among Muslims, according to a leading expert on Islam, Daniel Pipes, with polio making a major comeback among Muslims. In 2003, wrote Pipes, Ibrahim Datti Ahmed, president of the Supreme Council for Sharia in Nigeria and a physician, said a polio vaccination program in his country was part of a Western conspiracy to render Muslim children infertile. His call for an end to the polio immunization campaign touched a nerve and spread to other Muslim religious leaders in Nigeria, causing the vaccination process to slow down and incidences of the disease to pick up. “From Nigeria, this dual phenomenon of conspiracy theory and re-appearance of the disease then expanded to Muslims internationally,” wrote Pipes, who has been following the resurgence of the disease. “So closely connected have Islam and polio become that the Muslim-only pilgrimage to Mecca became a major mechanism of transmitting the disease to faraway places like Indonesia,” Pipes wrote. MK Shuli Mualem (Bayit Yehudi), deputy head of the Health Committee, called on the Ministry to increase its contacts with the population, and to set a goal of inoculating as many people – especially children – as soon as possible.